Buffalo Place’s staff is led by Executive Director Michael T. Schmand and Deputy Executive Director W. Morgan Smith. The staff includes nine professional and administrative staff members, eight Buffalo Place Rangers, and 12 operations crew members. Departmental managers lead a team of associates. These managers and associates focus on positioning Downtown Buffalo as the premier district in the region. The staff of Buffalo Place works to make Downtown clean, safe, and fun. Buffalo Place’s executive management team is led by a 15-member volunteer Board of Directors. The Board includes eight property owner representatives elected by the property-owner members and five public officials, including the sitting Mayor of the City of Buffalo, the Erie County Third District Legislator, a Buffalo Common Council Member designee, and designees appointed by the Erie County Executive and Niagara Frontier Transportation Authority. Michael T. Schmand, Vice President* Executive Director - Buffalo Place Inc.
W. Morgan Smith, Assistant Secretary* Deputy Executive Director - Buffalo Place Inc. The Buffalo Place marketing department, led by Jackie Jonmaire, works to position Downtown as the premier district in the Western New York region. 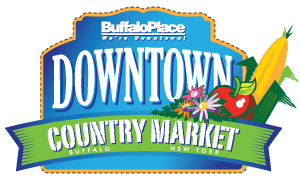 As lead marketing organization for Downtown, Buffalo Place promotes the district through the management and production of special events and initiatives, commercial advertising, and media relations. The marketing team participates on the board of directors of the Theatre District Association and serves an advisory capacity in the production of the annual Curtain Up! event. The marketing department provides logistic and marketing for Working for Downtown, Taste of Buffalo, World’s Largest Disco, and other annual events held Downtown. The department leads a committee of Downtown retailers that meets bimonthly, including graduates of the Queen City Pop Up retail initiative, and manages special programming presented on behalf of the retailers on Small Business Saturday. The Buffalo Place operations department, led by W. Morgan Smith, works on a daily basis to manage, regulate, and maintain public space. The work serves as a tool to position Downtown as a premier destination for businesses, tourists, families, and entertainment seekers. Twelve operations team members work every day to maintain the corridor and its overall curb appeal, keeping it free from snow in the winter, well landscaped in the summer, and clear from litter and free from graffiti all year long. 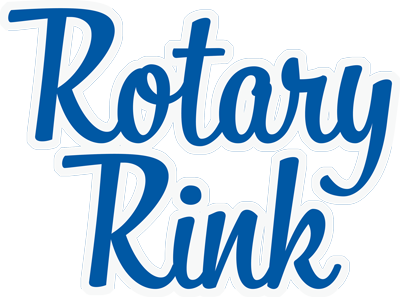 The operations department is charged with oversight of Fountain Plaza/Rotary Rink on behalf of the City of Buffalo. This includes maintenance of the reflecting pool in the summer months and the ice skating surface during the winter. The Buffalo Place planning department, led by Debra Chernoff, works on a wide range of projects and initiatives designed to enhance function, use, and understanding of Downtown. Planning projects are both short and long term, and some involve extensive collaboration with other agencies working toward long-range goals. The planning department collects and maintains data to help make informed decisions about Downtown. The Buffalo Place security department, led by Gabriel Vazquez, is charged with managing and addressing safety issues and concerns Downtown. 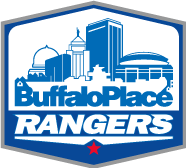 The Buffalo Place Ranger Program works alongside the SecureNet Radio System, which connects 25 Downtown properties. The security department leads a security committee comprised of representatives from the Buffalo Police Department, Niagara Frontier Transportation Authority Transit Police, Buffalo Civic Auto Ramps, and building owners and property managers. The committee meets monthly to share information and address quality of life issues.